Like Jane Goodall, the legendary researcher of chimpanzee behavior, entering her field research site in Africa, another academic researcher has just crossed the magical divide separating the safety of her academic life from the, so called, “real” life. Now, armed with a clipboard and a pen, she sits quietly in an office chair, surrounded by a local firm’s population of males and females. The employees. They are busy with themselves. The researcher almost succeeded in blending with the group. They seem not to notice her presence, but still she reminds himself “No sudden movements!”, as not to interfere with the natural order of things and thus taint the project by what is known as “the observer effect”. To be subjected to reinvention, the employee organizational behavior, the usual menu of leadership styles and teamwork patterns, must be observed and described in its natural environment and its natural expression. Warts and all. Several times during the day the individuals aggregate around the place where the water source is located. These random meetings provide opportunities for strengthening social interactions and, probably, help dominants maintain the status quo, for it always is in need of maintaining. For example, a young buck, a freshly matured male, tries to assert his social status by presenting to the rest of the population a new tool, the operation of which is not easily accessible to the older males. They watch his nimble fingers effortlessly moving the cursor on the screen during his presentation of a new and complicated software package. A new generation is clearly poised to take over. During a ritualized ceremony, organized by another young individual on the occasion of her birthday, all other members of the pack were offered food items (clearly to reduce potential acts of aggression), but not until they all sang, in unison and a capella, a loud song. The functional significance of this social custom has yet to be ascertained, although one may speculate that such behavior evolved to deter predators (read: auditors) and ensure safety of the population. Some behaviors, known as very effective agents for strengthening social bonds, are surprisingly rare in this population: mutual grooming and removal of skin parasites, or sharing regurgitated food, are virtually nonexistent. At least in the presence of the researcher. Sporadic bodily contacts through the proverbial and nonsexual “pat on the back” may occasionally be observed. In spite of this, or thanks to it, social capital seems to be healthy and all individuals seem to be genuinely happy to come to work. It is, therefore, crucial that the culmination of the entire research process should be to traverse the academia-industry barrier for the second time, in the opposite direction, to bring the knowledge back to where the data originated. Any researcher should strive to make time for this last step. The researcher must explain to the company managers not only what the employees actually do in the workplace but why they do what they do. 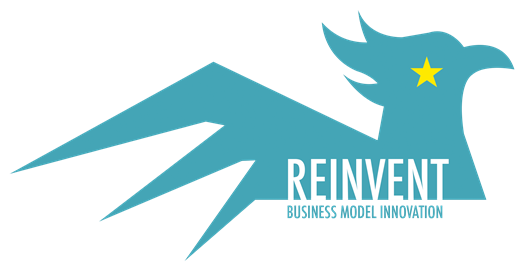 That is when the academic research becomes relevant and contributes to the process of business reinvention. Michal Jasienski, writing from the Center for Innovatics, Nowy Sacz Business School – National-Louis University, Poland. Here’s an interesting story about AirBnB’s foray into urban planning. The apparent inability of European countries to catch up or win the innovation race with the United States is puzzling. The problem persists in spite of substantial funding efforts and numerous initiatives on the part of the EU. I believe one of the main causes is not lack of material support but insufficient emphasis on developing appropriate organizational cultures, particularly soft skills. This is indeed ironic, since changing organizational cultures requires only modification of mental attitudes, not costly investments in infrastructure etc. Traditional and non-innovative modes of thinking dominate not only in universities and governmental institutions, but also in R&D organizations, think tanks and foundations. Even start-ups created by academically-trained entrepreneurs, often develop organizational customs and informal behaviors that, unwittingly, resemble those dominating in more traditional organizations. The typical features are: a hierarchical pecking order, hierarchy based on age and title rather than accomplishments, and cross-disciplinary or even cross-institutional links greeted with suspicion. This is a recipe for stagnation, not innovation. In contrast, even those universities (such as Harvard University) that place great emphasis on cultivating traditions and customs, have established new policies and organizational cultures that ensure energetic and vigorous commitment to pushing the innovation frontier. Mentioning here the innovation-oriented and youthful entrepreneurial cultures of Silicon Valley or the Kendall Square area in Boston would be stating the obvious. interdisciplinary, because providing inspiration from other disciplines may generate the beneficial effect of “consilience”. Innovative managers should look for inspiration in areas other than their area of technical expertise, but always staying in touch with the needs of the industry. Radically new ideas and novel solutions to old problem reside in the zone of influence of many disparate disciplines. How then to build an environment conducive to innovation? First, training for soft skills, i.e. of training non-autocratic management styles and creative/heuristic methods. I believe it is possible to train managers to be “softer” and to train employees to be more creative.